We made it to Bakersville, where our hotel is; it was a 6 hour drive. I collapsed on the bed and took a nap. I'm typing this at the hotel, getting ready to jump in the shower and get dressed up for the volunteer meeting over at the Mojave Airport (Space Port?). 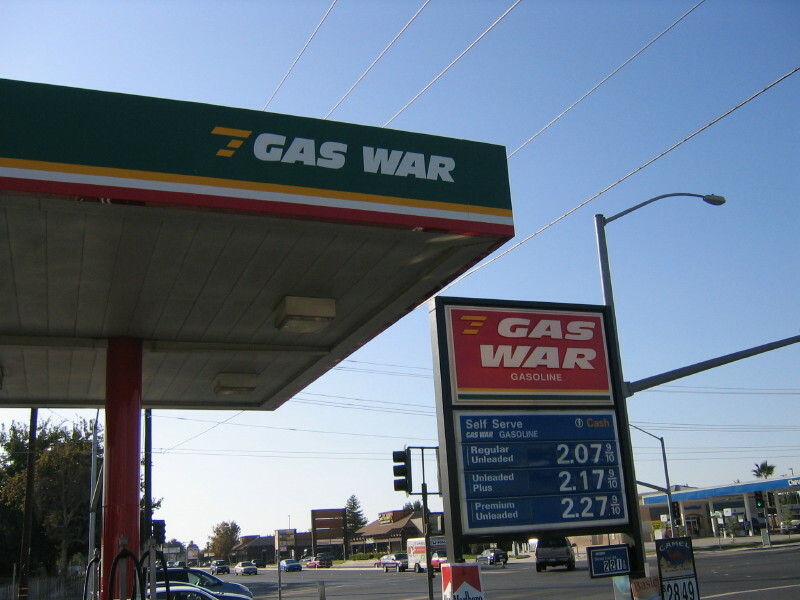 That just seems like a terrible name for a gas station; weren't most of the wars we've fought recently Gas Wars? :) I went into the gas station and asked them why they named themselves that; they said it is because they get in "gas wars" to have lower prices with neighboring gas stations.